Microsoft took its fancy to introduce something for the Mac users. Office 2016 is the latest version that is said to be the equivalent of Office 365 for Windows. They brought about a range of changes which in other words can be described as "modernization" to the older components and made it compatible for PCs, tablets, ipad and mobile phones. Check out whether switching to Office 2016 would be worth it. Finally Microsoft has come up with some modern developments for Mac that contains some surprising features and apps like the Ribbon interface and a powerful range of useful task panes. The users of Mac cannot but appreciate the way Microsoft has modernized the Office experience and integrated the best of Mac capabilities such as the Multi-Touch gestures, the Full Screen view. With a full Retina display support, it is a pleasure to look at your Office documents that wears the vibrant look you always have yearned for. 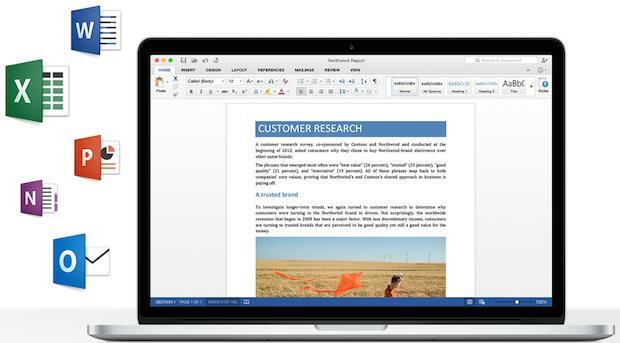 Office for Mac works well with Office on PCs, tablets, phones and on the web. 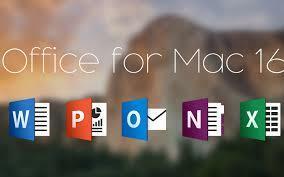 They have made significant changes in the components like Word, Excel, Powerpoint, Outlook, and Onenote. Check what are the differences that can make you upgrade into the 2016 version of Office from Microsoft. The only remarkable change you find in this Word is the Design tab - which can be called the Smart Lookup. It pops up with the dictionary and thesaurus entries for every word that gets selected in the Task Pane. There is an option for the Bing-powered internet search engine for quick reference. Also See: Apache OpenOffice 4.1.1: An alternative to MS Office? If you go the new Excel, you get the new PivotTable Slicers that help sift the various swathes of data. The optional Analysis Toolpak is an add-on to ease out the complex engineering operations and statistical analysis functionality. This time the formula builder and the equations editor are made simpler that follows a logical grouping with Numbers. An improved Auto-Complete Plus is the latest feature that directs to the charts which are complete in true sense. 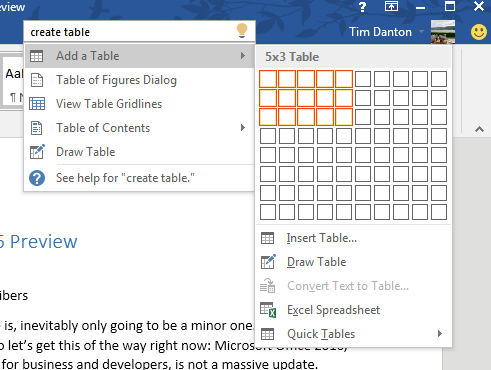 The PivotTables are there for transforming everything done in Excel into a significant presentation. With a comparatively fresh and less corporate look the Powerpoint in this suite has 23 designs with as many variants you can think of combining the color themes that stand for a huge range of available options. Specially notable is the Presenter View, displaying the next slide, the notes, and many more, on the screen with a projector specially connected to view the presentations. There is a button that effortlessly swap the displays. The myriad options are specially crafted for editing and formatting pictures and a nice user-friendly 3D view for every slide element. This time there are some noticeable improvements in the Outlook. For example they have provided an option where one can ask for a new time schedule if they need to change one meeting; there are these side-by-side calendars that is easy to refer to the dates, they have also included a weather forecast feature in it. The best part which is really appreciable is the synchronization of the primary categories. The email threading has got more precise and what more? The 'favorites' now contains the option of giving the signatures a definite shape for every new messages you create and this applied for the replies as well. This new feature of the Office suite for Mac, had been already there in iOS and was considered as a "standalone" for the Mac on the App Store. This free-form note-taking tool has made quite a good impression wherein you get the old Word feature of audio recording. There as and when you type the notes along with the time-stamps you would be prompted with an option to click next to a note, and get to hear the audio associated to it. These notes are supportive of quite a good range of media file types. If you're already a heavy Evernote user, OneNote has little to offer you, and the beefed-up Notes app coming in OS X 10.11 El Capitan will suffice for many, but if you're already deep into the Office way of doing things or don't currently use a notebook app, OneNote is excellent. Just note that if that's all you want, you don't need the full Office suite - you can get it free for Mac and iOS. Got a modern and smartly defined design with an improved compatibility that has many features similar to that of Office 2013. There are many multi-touch gestures which are quite supportive of the Mac. If you are frantically searching for the typical Mac feature Handoff, then you are at a loss. It has not yet achieved the sophistication that Windows Office has to offer. Inconsistent behavior noticed in the apparently impressive Collaborative tools. This is quite a suitable suite for those who are always in a spree of working with the latest venture of modernization. But frankly speaking, this Office for Mac is just a trial of substituting Office on Windows. So it obvious that it is only a tool for the Mac users, those who are already doing well with the Windows Office 365 might not feel the need to change.